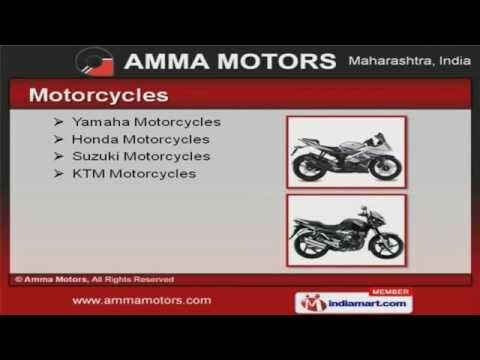 Welcome to Amma Motors, Distributor and Supplier of Motorcycles and Scooters. The company was incorporated in 1980 at Mumbai. Our Sound inventory management system and Extensive industry experience make us unique in the industry. Efficient customer support, customized packaging options and complete customer satisfaction are the plus points of our organization. We offer a splendid range of Motorcycles, Scooters, Three Wheelers and Spare Parts. Motorcycles offered by us are best in the industry amongst others. Our Bajaj, TVS and Royal Enfield Motorcycles are setting a benchmark in the market. We also provide Scooters that are in huge demand across the global markets. Our Three Wheelers are well known for their outstanding performance. Our organization is highly involved in providing an impeccable range of Spare Parts that are a class apart.